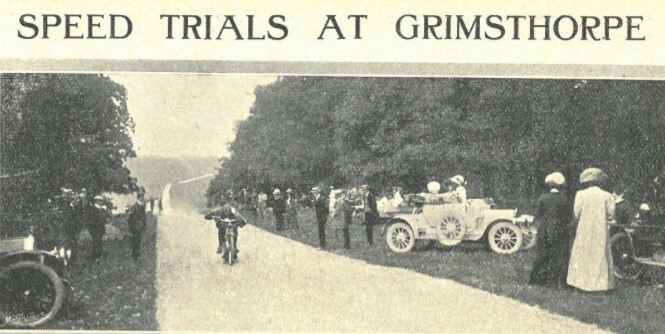 It will be possible to visit Grimsthorpe on Sunday without visiting the Speed Trials event. The castle, gardens, tearoom, shop, adventure playground and most of the park will be open to day visitors. The route into the garden and castle has been changed (for safety reasons). Please follow the signs and guidance from event marshals. The West lawn will not be accessible. Route 2 of the cycle trail and the tarmac road from the castle to the lake will be closed. Access to most trails, beginning at the start of route 1, will be possible but we ask everyone to observe ‘road closed’ signs. Day visitors who decide they would like to join the event can upgrade their Grimsthorpe tickets at the event ticket point. The event is recreating actual events that took place in the park 100 years ago and it promises to be a very special day.